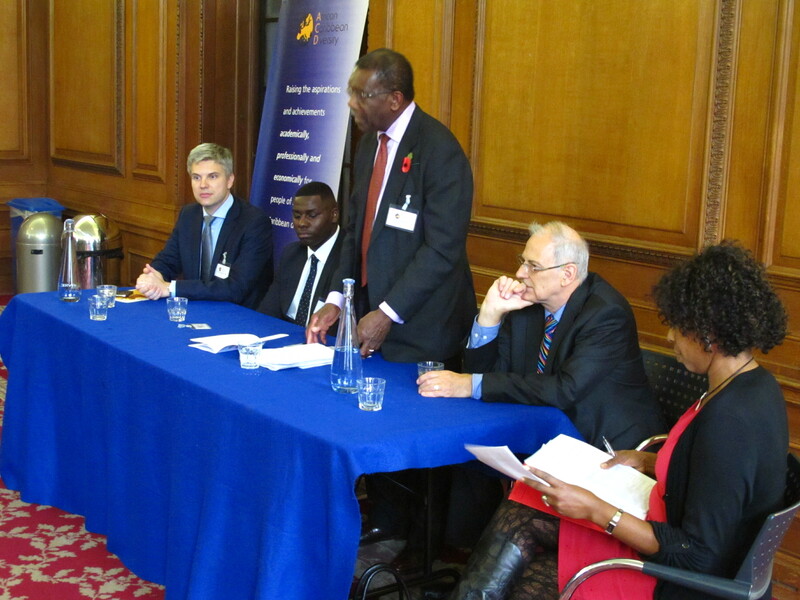 Bank of England, London: It was a day of celebration and discussion about how to improve youth aspirations on 7th November 2013 as professionals in the diversity, mentoring, school and apprenticeship worlds gathered at the prestigious Bank of England to discuss mentoring and raising aspirations, academic attainment, and job prospects in London’s youth. 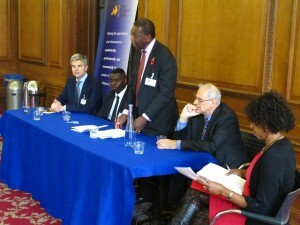 Moderated by ACD’s Chief Executive, Brenda King, the forum’s panel consisted of Lord William Morris of Handsworth, Professor David Clutterbuck from the European Mentoring & Coaching Council, Franck Gomboc, an ACD Mentor and Gafar Kuku, an alumnus of ACD’s mentoring and enrichment programme. Each participant framed the debate around their experiences with mentoring, achieving diversity in the workplace, and social mobility. 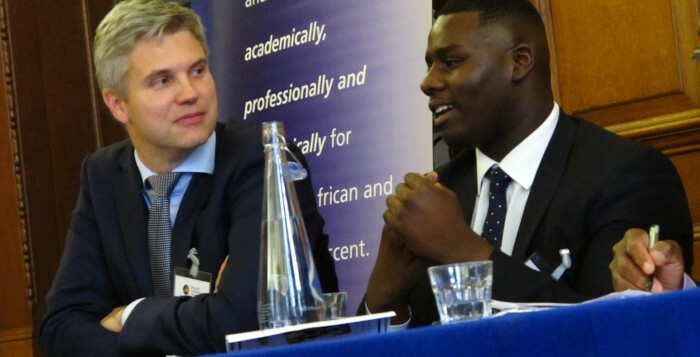 Throughout the discussion, mentoring was noted as a means to provide young people with the knowledge to improve their quality of thinking as well as improve their social mobility into becoming the type of employees that organisations want to hire. This was affirmed by one attendee who mentioned that a mentor can really shape a mentee’s character more than a work experience placement could. It is the right attitude, they went on to say, that employers value beyond work experience or even certain skills. One participant noted the link between having a mentor in secondary school level and then entering an apprenticeship afterwards to continue students’ development. This is because, as another attendee highlighted, the overall aim is not just to get students from low-income families, disadvantage neighbourhoods, or state schools into post-secondary education, but to also to get these same students to stay in university, graduate, and enter the workforce. Another attendee noted the need to expand the discussion about student attainment from simply talking about having African & Caribbean students aiming for “the top of the tree,” such as the best universities and the best jobs, but also towards “widening the tree,” so that students from state school or lower income families have the same opportunities as their peers and for universities and firms to widen their recruitment base. The other theme to arise from the day was that community is a very important part of the mentoring process. The age-old adage continues to apply that it takes a village to raise a child. It takes parents, and teachers, and peers, and mentors. Gafar Kuku, an alumnus of the ACD programme, who has been with his mentor since 2010, said of his mentor “It’s a very distinct relationship; he’s not my parent, not my teacher.” Kuku went on to say that his mentor is a guidance for one area in his life along with others. 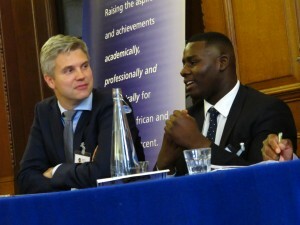 Franck Gomboc, ACD Mentor, and Gafar Kuku, ACD Alumni, speak to their mentoring relationship. The panel emphasised the need for young people to have a MentorNet—a web of people involving parents, grandparents so that students feel that there is a system supporting them. The role of parents was also touch upon as a cornerstone to help youth succeed as well as the necessity of involving and supporting parents throughout the key stages of a student’s development. And maybe even starting mentoring for parents, sometime in the future. While there is often a huge focus on the benefits of mentoring on pupils, ACD mentor, Franck Gomboc, from J.P. Morgan, turned the conversation towards speaking of how mentoring helped him become a type of teacher, a profession that he had once desired to go into. The two-way street works as mentoring involves imparting knowledge unto a young person as well as making the mentor aware about the life of the mentee, which may often be vastly different from their own. For many corporate employees, mentoring can be a break from their often busy schedules. 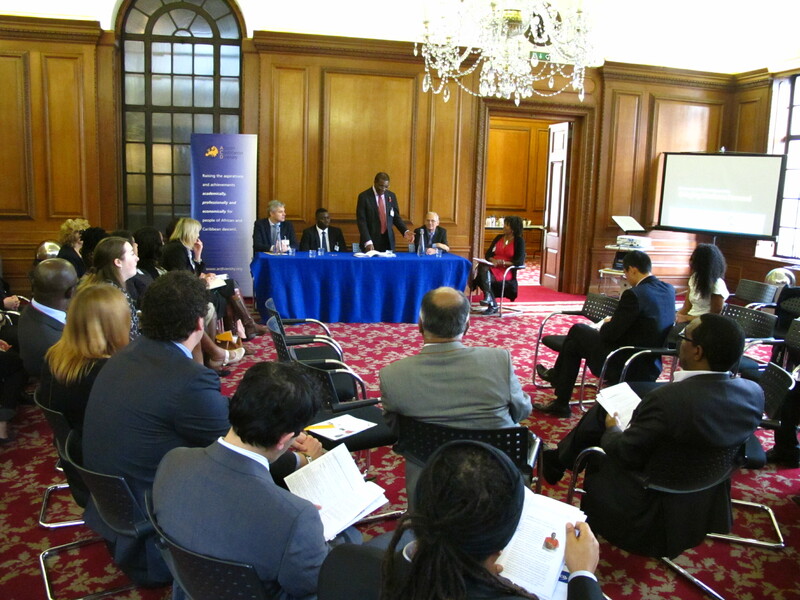 Ultimately, as one panellist said, “Mentoring is an integral part of any society that wants to create social mobility.” And participants agreed of the need to continue to find role models for Afro-Caribbean youth to help achieve Britain’s goal of a low poverty, high mobility society. Attendees listen to Lord Morris speak about his experience and the need for diversity in large institutions. The forum concluded with participants connecting with one another to continue the conversation and work towards raising student’s achievements. Thank you to our panel and to all of our attendees for making ACD’s 10 Year Anniversary Forum an interactive, solution-driven afternoon.